If you have ideas about building your own castle, try doing it in this game. Hustle Castle is the role-playing game of the publisher My.Com, in there you are a king, a ruler of the kingdom. Build castles, get residents, assign them missions, protect castles and attack neighboring countries. There are many things a king needs to do. The game is released for free for both Android and iOS operating systems. 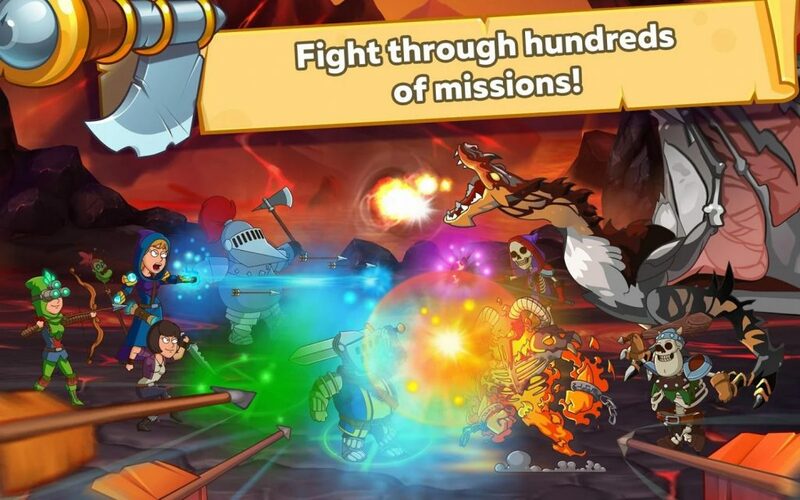 Before downloading the game to your phone, read our review of Hustle Castle below. There is not much to say about the graphics. Although it is only 2D graphics, the graphics of Hustle Castle are quite good. Vivid image quality and great design. Besides, I think the music is quite lifeless and only average. There is no denying this. The way to play and the context of Hustle Castle is very similar to Fallout Shelter. Even though it’s just a clone game, I still find a lot of fun and interesting things about this game. If Fallout Shelter requires you to have a specific plan, in this game things will become easier. The game has many character classes, and each character has its own story and lines. However, the game’s story begins suddenly and lacks depth. It begins with the Lord Abyss starting a war with the whole kingdom. He kidnapped the Princess and wanted to force her to get married. As a king, you need to build your kingdom, fight lord Abyss and save the beautiful princess. Production room: is the most basic room of the castle, has the effect of producing and storing resources. This category includes a number of room types such as Treasury to store money and gold, Dining room for food storage, Mana Pool and Mana Well for storing mana, some types of wood storage and production rooms, iron, and other resources. Support room: types of support rooms with the effect of making weapons and restoring health for gladiators. For example, the Hospital works to restore and heal gladiator, Magic Workshop and Magic Lab is where you create magic and enhance them, … In particular, Stairs helps you connect between rooms in your castle. In addition, the Throne Room has the effect of unlocking new rooms and upgrading them. The level of each room cannot exceed the level of the Throne Room. Arsenal helps you to upgrade defenses for the castle, against enemy attacks. 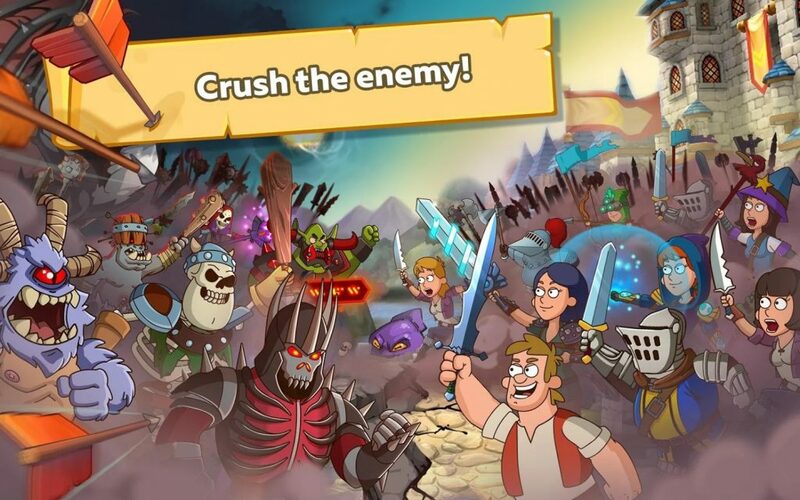 All legendary medieval creatures like Orcs, giant skeletons, dragons, … are ready to attack your kingdom. Join the Game of War to fight and defend the kingdom. In fact, auto matches are based on the power of gladiators and magicians of the two kingdoms. Your task is to choose skills for the warriors to use their special skills. Remember, the weaker can win a stronger if you choose skills appropriately. In PvP mode, the system automatically selects an opponent with the same power as you, if you defeat them, you will receive gold, experience or rare materials and equipment. The premium model business has made this game experience very bad. In my opinion, Hustle Castle is truly a “pay to win” game. You can pay to do everything like reduce construction time, upgrade time, training time, increase production, get free items every day, … After the first few days, every time you build or upgrade something will take a lot of time. When I build a room, the game requires a few hours to a few days to complete. If you don’t choose to pay, you have no other way than to wait. You also almost certainly have to give up when meeting paid players because the power difference is huge. Moreover, when you win a boss, the game also requires you to pay for getting armor. That’s ridiculous. In addition to the aforementioned elements, Hustle Castle has many other interesting features such as Clan, a system for upgrading warrior equipment, magic systems, … If you’ve ever played Fallout Shelter and want to find a similar game, Hustle Castle is a great choice for you. Note that the game requires your device to be connected to wifi or 3G to experience. 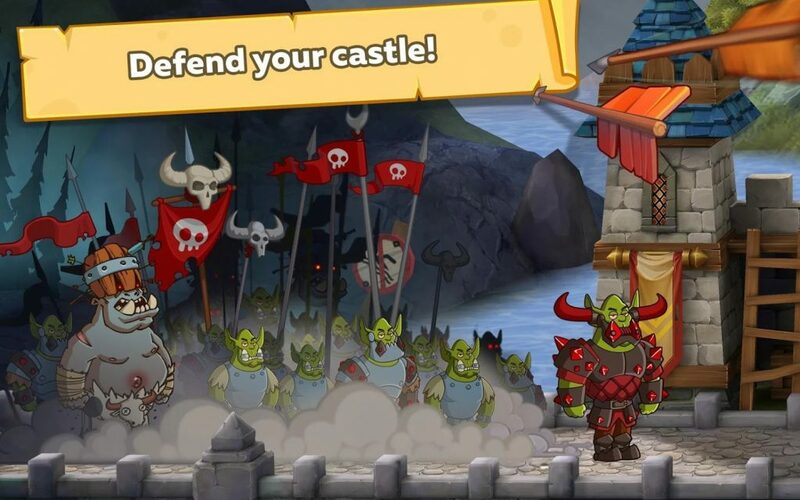 Hustle Castle MOD APK is ready to download! 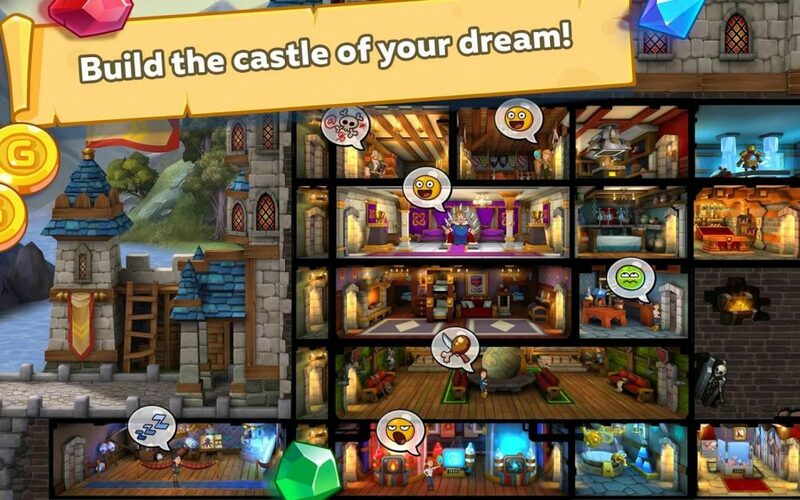 Depending on your needs, you can download Hustle Castle MOD APK or Hustle Castle Original APK. Or install from Google Play / App Store if you want.